I had a request for a post about my raised bed garden so here goes! I am pretty much a novice gardener, but I am having a great time learning by trial and error. My husband built me this 8 x 4 foot raised bed in the fall which made it all possible, as our native soil is not really suitable for growing. He bought 3 boards that were 8 foot long by 12 inches high and cut one in half and then he used deck screws to make the corners. We filled it with a mixture of top soil, organic compost and and growing mix. There is a super handy soil calculator on gardeners.com and they have the info on the ratio of ingredients for the soil mix. 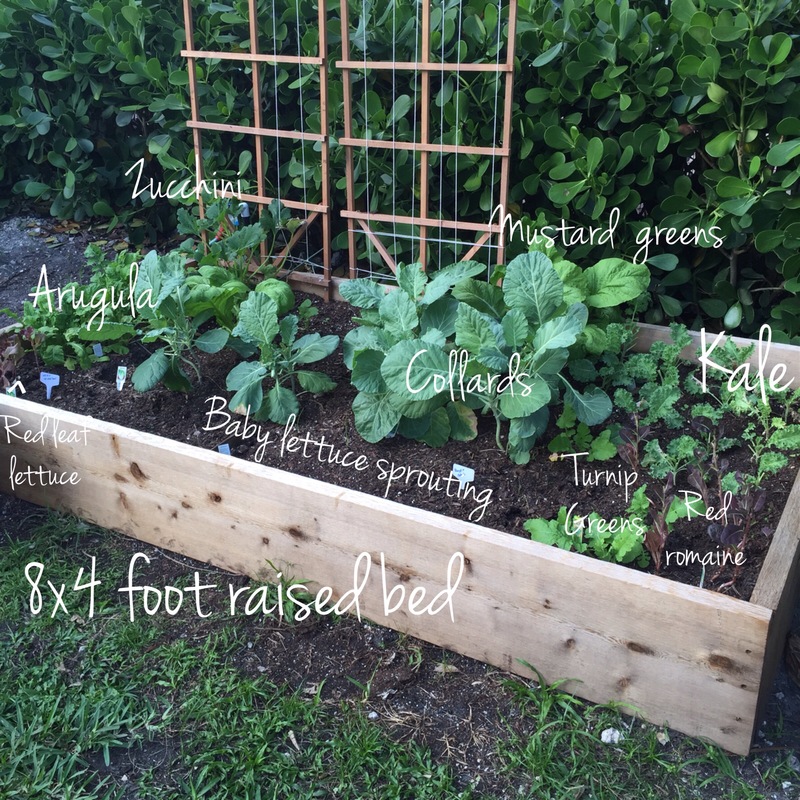 I started with potted plants for most of my initial plantings just to make it easy, and because I was getting a bit of a late start with planting…kale, collards, mustard greens, zucchini, arugula, and red leaf and romaine lettuces. It was rewarding to be able to eat from the garden right away. I just recently had to pull out some lettuces that got leggy and bitter and were going to seed, but have lots of new lettuces and kales just sprouting up now. I chose to plant mainly greens as they are something I can and want to eat every day. I plan to use a seeding square from seedingsquare.com next go round as @thegardencavegirl on instagram had great success with it and I am wanting to get the most out of my limited space! So far collards, mustard greens and arugula have been the most productive. Our next project is worm composting, so wish me luck with that one!